In one corner, in front of the mirror, a dancer is applying the final touches of makeup. A few meters away, another group of dancers are painting each other’s faces with bright powdered paint. Right next to them, one of the crews are helping each other stretch. Not too far by, another crew, this one involved in a group hug, are screaming from the top of their lungs their team’s shout. There are over 400 dancers of all ages gathered in the same place, so the levels of adrenaline, positivity and life are over the roof. The hallways of the Hungarian opera house in Cluj are overbrimming with colour, sound and energy. And the event that gathered dancers and dance lovers from all over the country is none other than World of Dance Romania Qualifier. From 2012, when World of Dance debuted, it has won among the global community of dancers the undeniable fame of being one of the most outstanding and challenging urban dance competitions. 14 countries have already ‘joined the race’ and the 2016 World of Dance Romania Qualifier was the very first time when the event took place in Eastern Europe. The competition was divided into 2 categories: the Youth Division, with 13 crews competing for the title and the Upper Division, in which 6 crews danced their way to the top. And the top was waiting for them with more than just a title: $ 1000 were in play for the Upper Division taken home by the Haters Crew and the winners from the Youth Division, 1st Class, went home with $500. Bearing in mind the magnitude of the competition (for the dancing community) I joined the event expecting the ‘behind the curtains’ be filled with nothing but tension, arguments, fierce adversities, overly stressed people who only care about taking the trophy home. Never have I been so wrong in my life. The contest brought together friends. Moreover, all the members in each of the crews were more than friends or people who share mutual interests or people who go to the same gym. They were family – families brought together by the power of dance. And family is there when you need it most. “There came a day when something in me snapped. I just gave up and quit dancing. But the ones you now call Immortals would not leave it like that. They picked me up from the dust and helped me see my path was not yet done. 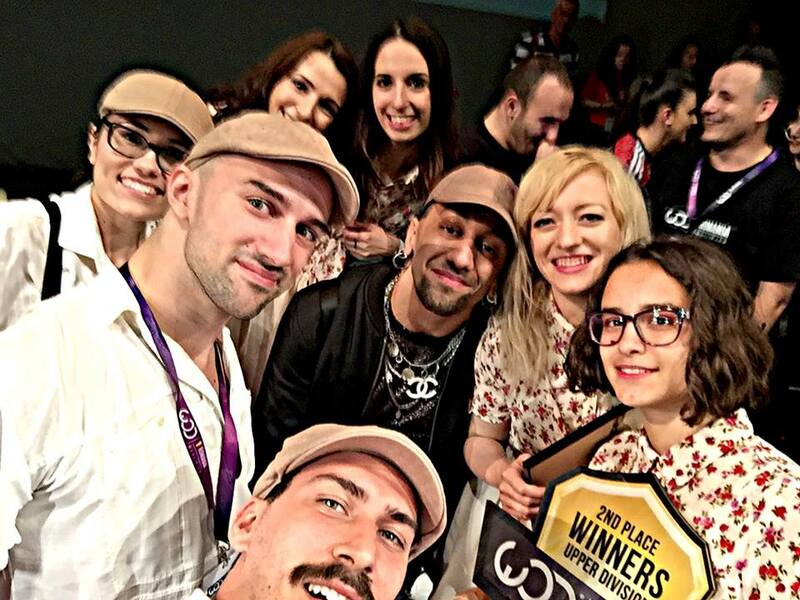 We’ve been together ever since.”, smilingly recollected Marius Cristian Rever, the choreographer of the Immortals, a crew from Bucharest that won 2nd place in the Upper Division. The 4-5 minutes of the Immortals show were as unique as it they were mesmerizing. What they did was take the new and make it old: they took modern day songs, such as The thong song (Sisqo) or Cry me a river (Justin Timberlake) and they danced them in the ‘20s style – a move so unexpected and ‘against the current’ it left both the judges and the audience speechless. Family is there to take pride even in your small (or not so small accomplishments): “Look at the little one”, said Constantin, choreographer of Constanța’s Diamonds while pointing at Răzvan, who was so innocently laughing his heart out as he was rehearsing with one of his mates: “he’s 8 years old and he’s been dancing since he was 3 and a half. He still has the same enthusiasm and passion for dance as he had when his mother first brought him into my gym 5 years ago. Look out for this one. He could best any of the dancers here in a one on one. He’s got mad talent and will be on of Romania’s, even Europe’s best dancers someday. Trust me on this one.” I saw the kid dance so I must confess I do trust him on this one. Dance in itself is more than movement – it is soul, it is passion, it is emotion. And only in a medium which nourishes these, a medium in which one feels safe to experiment, to fail, to improve – a family – can one truly flourish in the art of dancing. In this regard, the future looks bright for Romanian street dance.